Yimiton's Blog: Girlfriend forced 'cheating' boyfriend to kneel in the street and slapped him several times in the presence of the other woman! 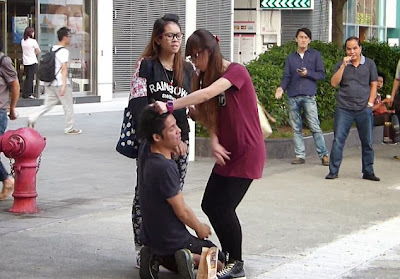 Girlfriend forced 'cheating' boyfriend to kneel in the street and slapped him several times in the presence of the other woman! 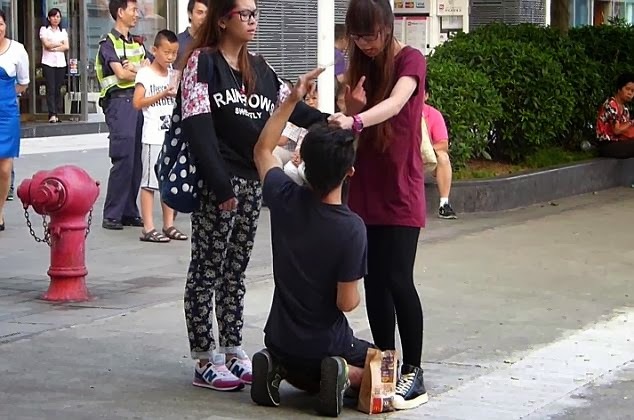 A Chinese woman in Hong Kong forced her boyfriend to kneel in the street and repeatedly slapped him around the face for bringing another girl back to his flat. 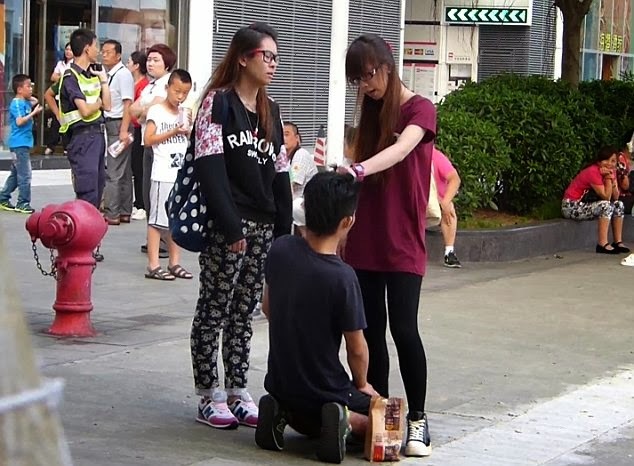 After his girlfriend took him out to the street and began berating him, a crowd of onlookers gathered and started filming the scene, which has since been posted on YouTube. The 20-year-old woman, named Cheng, was later arrested on suspicion of common assault, while the victim, 23-year-old Chui, was taken to hospital after an onlooker called the police. The alleged assault happened last Friday after Chui took a girl to his flat despite the fact he was going out with Cheng. She made him kneel on the pavement in full view of passers-by, and accused him of going behind her back by inviting in the other girl - who was standing next to the couple throughout the fight. 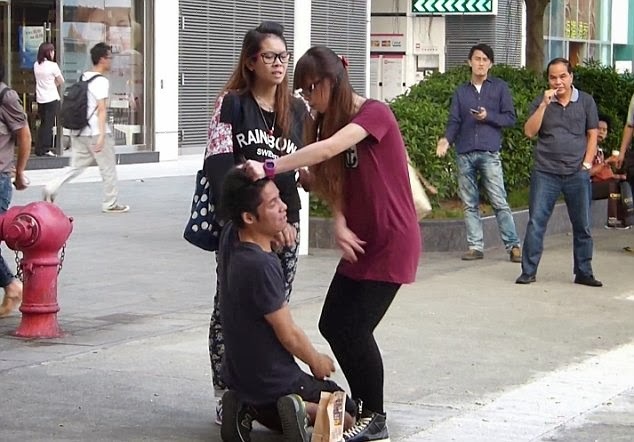 Cheng then started slapping Chui across the face as he screamed, 'You're slandering me! ', and urged the other girl to corroborate his story. Do you think this can ever happen in Nigeria? If this were your brother, how will you react?